The St. Raphael Ministry was founded by Fr. Joe Whalen, M.S. in the 1990’s. He diligently spent many long hours working with the sick and conducting healing services with great zeal. 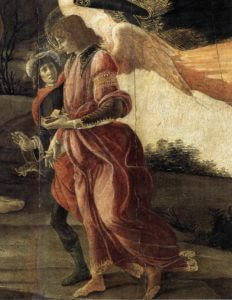 He always loved the Archangel Raphael and was prompted by the Holy Spirit to start preparing blessing and using the St. Raphael oil in his healing services. Before long he was giving out hundreds of bottles at his services and shipping worldwide. With the help of Almighty God and the dedicated years of service of many, this Ministry has grown, flourished and become internationally known. Fr. Joe went to eternal life in 2016 but his legacy and love for this Ministry continues. It is still operated by Fr. Joe’s core group headed up by Ray Baril and is based in South Grafton MA. The St. Raphael Ministry continues to receive testimonials from all over the world. 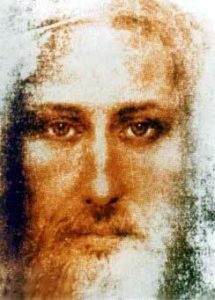 Many healings, spiritually, mentally and physically have miraculously occurred by the grace of Jesus Christ through the intercession of St. Raphael. The Ministry currently ships 3000 bottles of the St. Raphael blessed oil monthly to every state in the Union, and worldwide to 104 countries. 100% of every donation dollar is used for the preparation and distribution of the oil. 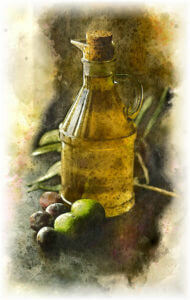 Many priests and Ministries throughout the world use this blessed oil on a regular basis. The usage of Blessed Oil by lay people is an ancient custom of the Catholic Church. It can be used when praying for the sick as long as a clear distinction is being made between the Sacrament of the sick and Sacramental use of the blessed oil. In this particular usage, the Blessed Oil as a Sacramental is no different than the usage of blessed salt, holy water, palms, ashes, etc. Remember it is your faith, combined with Almighty God’s power and Will, in the Holy Name of JESUS, through the powerful intercession of the Archangel St. Raphael, all the prayers that go into the oil as it is being prepared, and the priestly blessing that heal you through this blessed oil. It is good to remember that the blessed oil is just a vehicle that God uses to heal us. We are all instruments of God, only God is the Divine Physician and healer. In these words the prophet Jeremiah foretells the blessings that God would one day pour out upon his people. 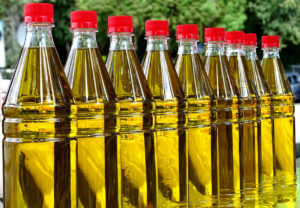 It is no wonder then, that oil became a symbol of the fullness of God’s blessings poured out through His Holy Spirit, and that the expected savior would be the Anointed One (Messiah or Christ). Thus oil has become a rich symbol of our life in Jesus, or our sharing in His anointing and in the outpouring of His Holy Spirit. Using oil can be a beautiful and powerful way of renewing our life in Jesus, especially when this oil has been “made holy by God’s word and by prayer” (I Tim. 4:5). Perhaps no other element in the bible was used for such a wide variety of purposes as was oil. Listed below are only some of them. Oil was used in cooking and baking. In particular, the loaves offered in sacrifice were to be made with oil. (Ex. 29:2) Oil was often mixed with perfumes and used to make oneself more beautiful and attractive (Ruth 3:3;Jdt.16:2). As such it was also used to honor guests. Anointing them with perfumed oil was a sign of great honor and respect, as well as a way of offering refreshment after a journey ( Lk. 7:37-38, 46; Ps 23:5). Perhaps for this same reason it was often referred to as an “oil of gladness,” bringing joy to the heart (Ps. 45:8; Is. 61:3; Heb 1:9). Oil too was a source of light, being used in lamps both in homes and in the temple (Ex. 27:20; Mt. 25:3). The flame thus kindled likewise became a symbol of the Holy Spirit, whose fire purifies and enflames us with love and zeal (Acts 2:3). 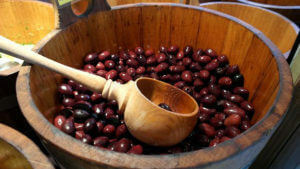 The healing properties of oil were also recognized (Ez.16:9; Lk 10:34) The apostles used it for healing, apparently at the instruction of Jesus Himself (Mk. 6:13), and this practice was continued in the early church (Jas. 5:14). Moses gave instructions for the making of a sacred anointing oil (Ex. 30:22-25). With this oil the Israelites were to consecrate the priests (Ex. 29:7; Lev. 8:12). Even the meeting tent and the objects of worship were to be anointed with this oil, and thus consecrated to God (Ex. 30: 26-29; Lev. 8:10-11). The kings of Israel were also anointed with oil (I Kings 1:39); II Kings 9:6). Further more, we read that when Samuel anointed David as king : “from that day on, the spirit of the Lord rushed upon David” (I Sam. 16:13). From this experience, and perhaps others like it, oil became a symbol of the Holy Spirit. The prophets therefore who spoke under the influence of the Spirit were considered to be anointed by God (Is. 61:1), and were sometimes even anointed with oil (I Kings 19:16). The expected savior of Israel, being the Anointed One, was to receive the full and complete anointing of God’s Spirit. Every blessing given through oil in the Old Testament was to be poured out in fullness upon the Messiah, and through Him upon all God’s people. The New Testament witnesses also to Jesus; threefold anointing as King (Lk. 1:33), Prophet (Lk.4:18), and Priest (Heb. 7:17), and to His being anointed with the oil of gladness (Heb.1:9). In short, the fullness of anointing, the fullness of God’s Spirit, is to be found in Jesus. It is to Him that we must go to receive of that anointing. Since Jesus is the Christ, the Anointed One, it is not surprising that his followers soon came to be called “christians”, “anointed ones.” To be a christian means to share in the anointing of Jesus, to receive His Holy Spirit and the blessings the Spirit imparts. How do we do this: How do we receive Jesus’ anointing? Scripture mentions three initial steps: repentance, faith, and baptism (Acts 2:38). But there was also in addition to baptism, even in apostolic time, the laying on of hands with prayer for the gift of the Holy Spirit (Acts 8:15-17). By at least the second century this was accompanied by an anointing with oil. Oil was no doubt used together with the laying on of hands because it signified becoming a sharer in the anointing of Jesus through the gift of the Holy Spirit. In the course of time this came to be called the Sacrament of Confirmation, and the oil used was called “chrism”. To this anointing there was later added a pre-baptismal anointing to prepare catechumens for baptism. This oil came to be called the “oil of catechumens”. A third oil mentioned in the letter of James (5:14) is the “oil of the sick”. Until at least the 9th century lay people as well as clergy could use oil in praying for the sick. 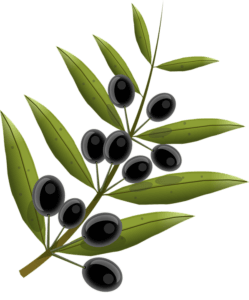 The first oil, chrism, is also used in baptism, when for some reason, confirmation does not follow immediately, and it is used as well in the ordination of bishops and priests. These three oils are blessed each year by the bishop during holy week. Together they signify in various ways our full sharing in the anointing of Jesus. By using all these oils we give outward expression to our faith in Jesus as God’s anointed, and thereby share more deeply in his anointing. In using sacramentals, as lay people we should not confuse this oil with the Church’s holy oil that is conferred only by a priest in the Anointing of the Sick. The purpose of this oil is primarily for healing and protection from harm; but the oil can also be used to pray for all the blessings which the oil represents; that is, all the riches which are ours in Jesus. The oil can be used in praying for oneself or in praying for others. The simplest way of anointing is to make the sign of the cross on the forehead while saying the accompanying prayers. (see Ez. 9:3; Rev. 7:3) But other parts of the body can also be anointed especially when the need for healing may be localized in one or several parts of the body. If using on another, it is advisable to inform them that you are using blessed oil, which is not the sacred oils of the Church, and are not administering a sacrament of the church.